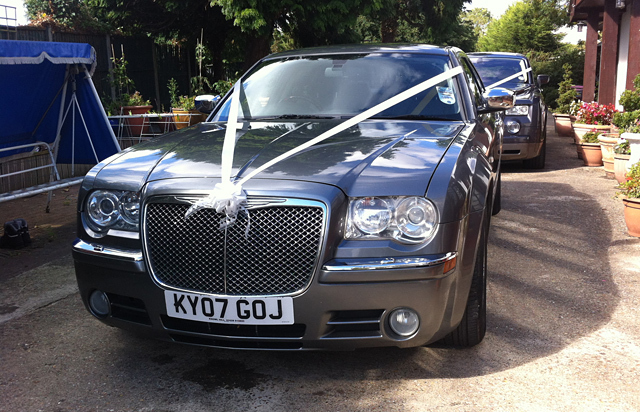 We are lucky enough to be able to provide two Chrysler 300C for wedding car hire – one in striking black with chrome rims, the other in charcoal grey to match our Rolls Royce Phantom. These stunning chauffeur driven wedding cars are perfect for a wedding in Bedfordshire and surrounding areas. Imagine one of our chauffeur driven wedding cars pulling up on your big day. With head turning chauffeur driven wedding cars like these Special Day Cars can make your special day perfect. So choose the perfect wedding car hire company for your perfect day.